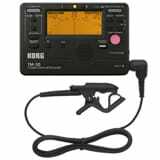 The TM-50TR has three modes for tuning wind, string, and brass instruments. 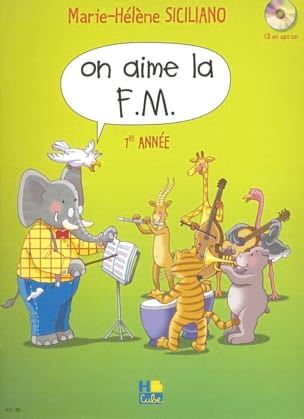 In addition, the Korg TM-50TR does not just give! 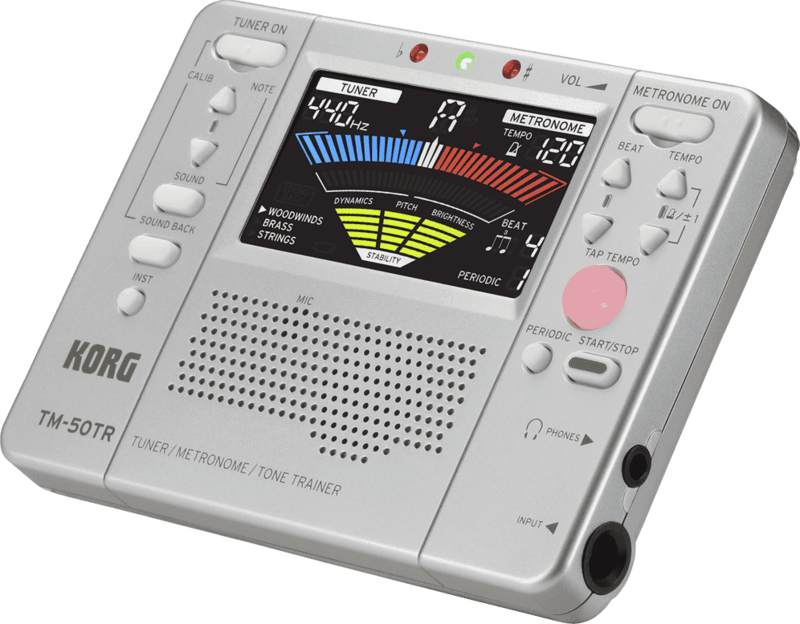 When you play a sustained note on the instrument, the TM50-TR detects not only the pitch, but also the dynamics (volume) and accuracy of the note. 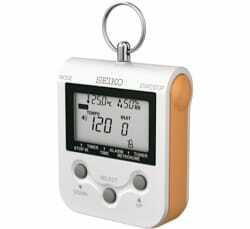 These three elements are displayed on the TM50-TR's LCD screen in real time. 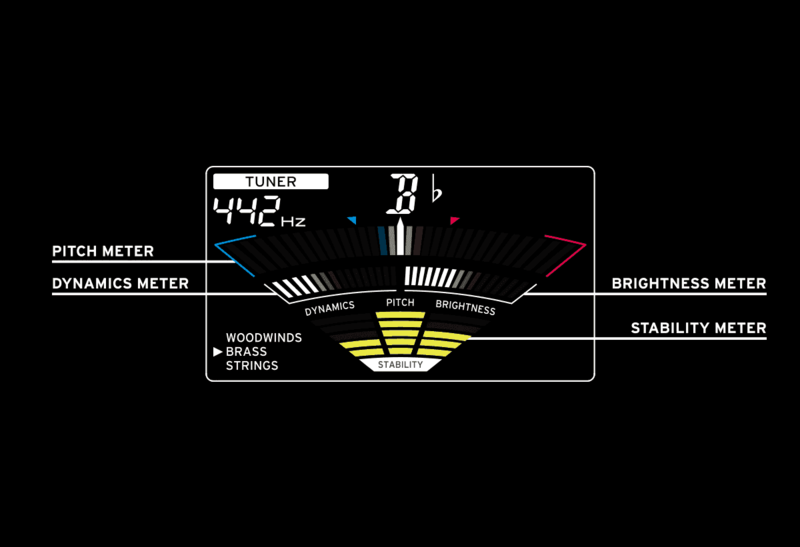 When you have finished playing the note, the stability of each of these three elements is displayed in a graph allowing you to see, at a glance, if your sound is stable. 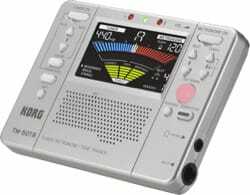 In addition, the tuner includes a Sound Out mode that allows you to choose a reference note, and a Sound Back mode in which the reference note closest to the one you play is automatically played. 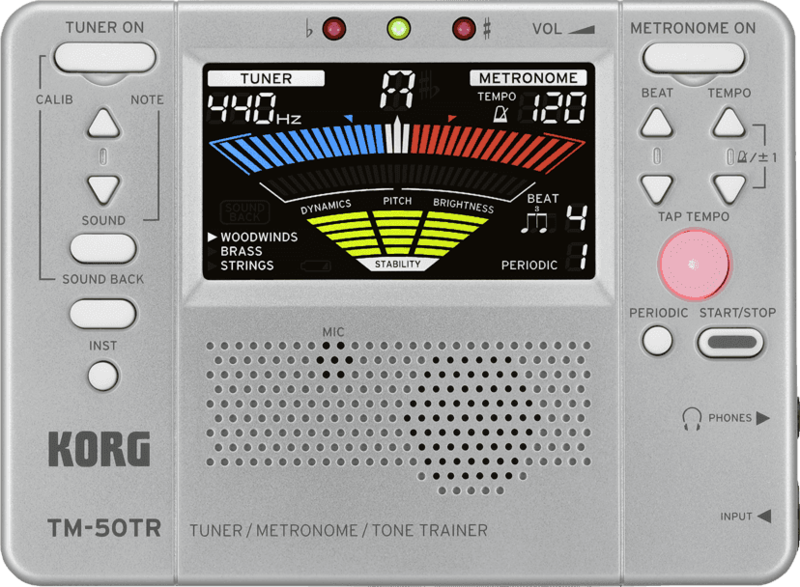 Finally, the metronome can be programmed and thus resonate periodically. In other words, you can set silence ranges before the metronome is heard again, and thus work your rhythm. Note that all these elements are easily accessible via a large LCD color screen.